The patient has a BMI of 38 kg/m2. He weighs 106 kg and is 168 cm in height. He is thus markedly overweight with a large abdominal girth. His recent creatinine is 2.13, BUN 38. This has been stable for 3 years. He presented with gross hematuria in 8/15. Imaging disclosed left hydronephrosis with a filling defect in the left renal pelvis. 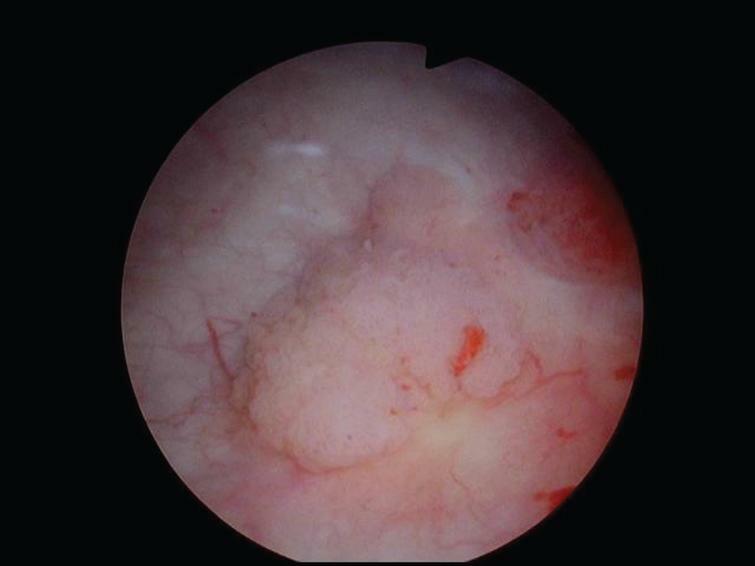 Ureteroscopy and biopsy revealed a low grade urothelial tumor in the renal pelvis. In April 2016 he underwent a robotic assisted left nephroureterectomy. The pathology indicated high grade pT3 urothelial cancer in the renal pelvis with small HG Ta and CIS in the ureter. There was Ta tumor at the distal margin. Adjuvant chemotherapy was discussed but was not given because of his renal failure. Subsequent serial imaging has been negative for any metastasis. Beginning in July 2016 he has developed multifocal low or high grade Ta urothelial cancer of the bladder. After the resection of over 10 HG Ta tumors in 7/16 he received intravesical mitomycin for six weeks. In 11/16 he had a TUR BT of multiple tumors from one to 5 cm, LG Ta. Although BCG is not likely to be effective for LG Ta he was given intravesical BCG for six weeks. The next TUR BT was 3/17 and once again there was mutifocal HG Ta tumors. This was followed with weekly mitomycin again. Papillary Ta appearing tumor. One of multiple similar appearing tumors. The most recent TUR BT was in 7/17 and the pathology was LG Ta. The largest tumor was at the 1 o’clock position just inside the bladder neck and required a bugby electrode with the 70 degree lens to visualize and remove, as it was not visible with the 12 or 30 degree lens. His most recent cystoscopy was 10/17 and not surprisingly he has developed multiple small and large tumors which all appear Ta. The patient’s quality of life has not changed as a result of the multiple resections. He has not had gross hematuria since the left nephrectomy. He has not developed an invasive tumor of the bladder. Alternative considerations for therapy are welcome such as a PDL inhibitor or other experimental treatment. Photos will be of the tumor and the use of the blue bugby electrode for the tumor at the 1 pm location at the bladder neck. Tumor at 1 o’clock at bladder neck as observed with a 70 degree lens. It was not visible with a 12 or 30 degree lens. A buggy electrode is used to thoroughly cauterize the entire tumor. A deep resection site at the left trigone. There was no invasion by any of the tumors. 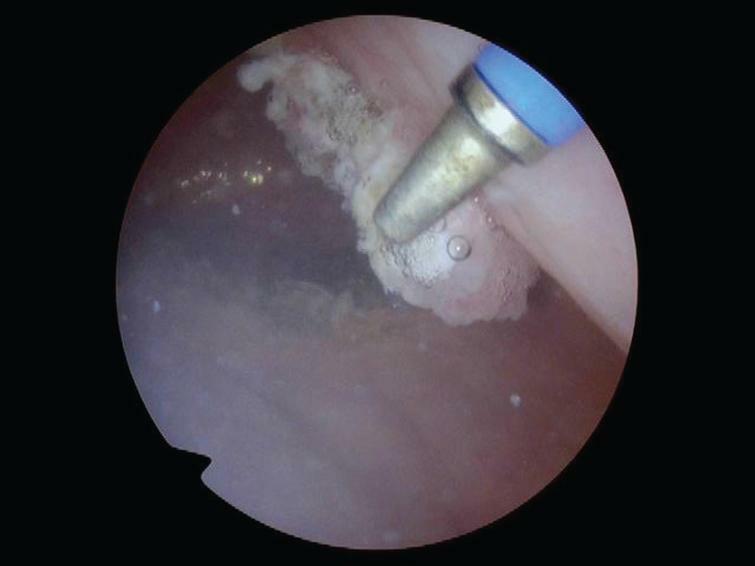 This patients had invasive renal TCC , and several bladder recurrences, with Ta of -low and sometimes high-grade tumors. 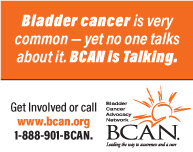 The risk to develop an invasive, or metastatic bladder cancer is quite high. For his young age my suggestions are as follow: A course of thermochemotherapy with Mitomycin C after the next recurrence. Strict surveillance with cytology and mapping biopsies after the inductive course. In case of recurrence with multiple Ta high-grade, T1 or Cis indication for cystectomy. In case of Ta-low grade tumors continue with thermochemotherapy maintenance. This is a challenging case given the high frequency of especially the high-grade recurrences. From a retrospective perspective, some important aspects need to addressed. First, the management of the bladder cuff during robotic nephroureterectomy given the positive distal margin at RNU. Was the distal ureter clipped at RNU and was early instillation considered? How was the excision of the bladder cuff made? There is data clearly suggesting a prognostic benefit of BCG over MMC for low- to high-grade intravesical recurrences after invasive UTUC. Furthermore, I am wondering whether the patient ever had a careful inspection of the bladder (and resection) under blue light. 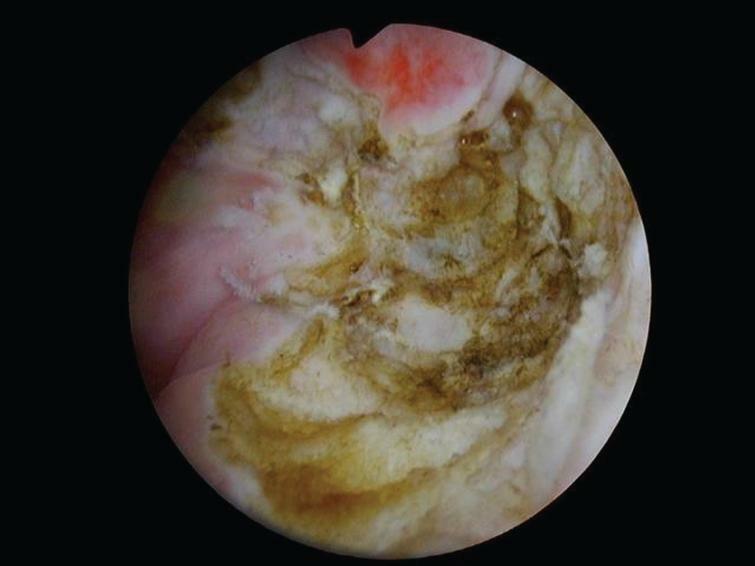 For the future, I agree that the risk of progression is rather high and vulguration of lesions may blind the treating urologist of some high-grade recurrences which sometime are difficult to be differentiated from typical low-grade lesion. For example. I am nor sure whether the lesions depcited above are all low-grade G1-G2 or even G2 high-grade tumors. Thermochemotherapy or EMDA-MMC alternating with BCG as described in a randomized trial should be discussed with the patient but inclusion of a patient in a PD-L1 trial (if possible) would be prudent.